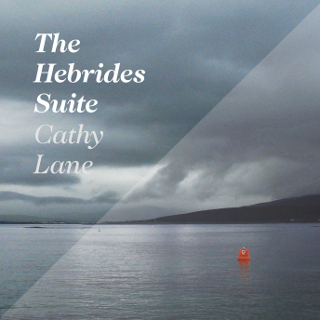 The Hebrides Suite is the result of an attempt to answer this question and the culmination of composer Cathy Lane’s three decade long engagement with the Outer Hebrides. 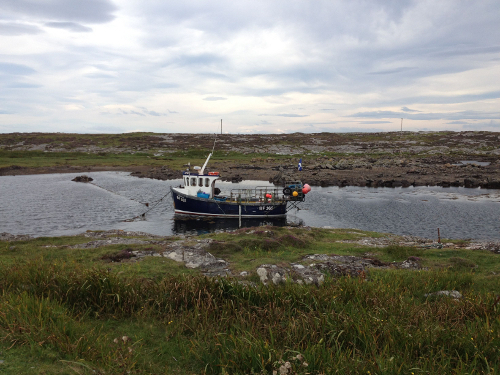 I know nada about this composer, but The Hebrides Suite gathers six pieces borne of her heavily pronounced love affair with The Outer Hebrides. 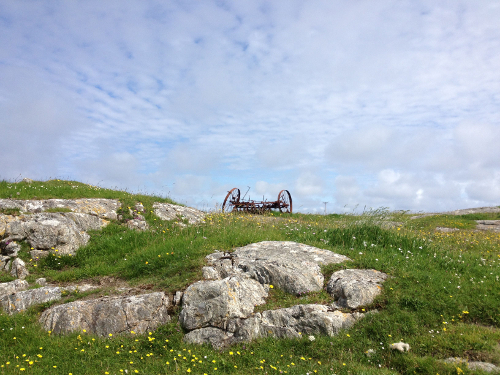 Gathering a wide range of field recordings and spoken dialogue from these islands, Cathy Lane aims to evoke sonic traces left by their rich history. Considering the tools at work here, this might seem like a tough call but via a series of occasionally looped voices from locals recounting their personal stories, bleating sheep, rhythmic machine clanking, lapping waves, singing churchgoers, the sounds of nature, tempered engine rumbles, melodic traces and indiscernible fluttering and rasping sounds, everything falls together perfectly. At once sentimental and celebrating life as it presently stands on the islands, The Hebrides Suite, replete with the enchanting photos adorning both the cover and the booklet inside, pays perfect testament to the magic, wonder and beauty of them. 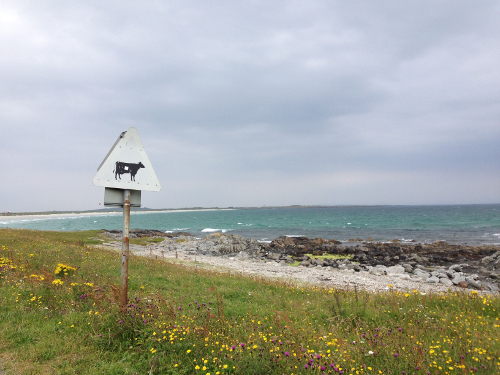 […] You’d think that Cathy Lane’s homage to those far flung Scottish islands the Outer Hebrides would be a bleak affair full of uilleann pipes and the pounding of waves onto stout harbour walls. Its anything but. What begins with the warning bleeper of a docking ferry soon unravels into a series of interviews where voices are looped, some being given various ‘treatments’, before being mixed with the sounds of birds, sheep, tweed looms, the ever present winds, the crashing waves and in the last track and most memorably a church service where the congregation sing a mournful psalm to the sound of yet more crashing waves. 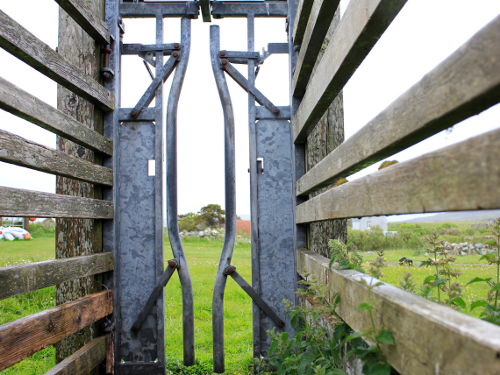 Lane’s aim is to heighten awareness of these islands, its culture, its natural history and local history. But it was only during ‘Watch Over Us All’ the strongest track amongst the six here, with its layered plaintive singing and austere sermon that I found myself finally rapt. The Whicker Man loomed large for me albeit in a Calvinist/Presbyterian/Protestant/Catholic/Free Church of Scotland non pagan kind of way. […] The Hebrides Suite (GRUENREKORDER GRUEN 127) from composer and sound artist Cathy Lane is head and shoulders above most average field recordings…she’s very good at editing and arranging her materials, not afraid to let things overlap…we don’t get a rush of information, but just the right amount of it, in order to reveal the truth of the place she’s trying to document. It’s almost like impressionist painting, done on tape. I think this is how she approaches most of her projects, and she always has a strong connection to the environment in question. 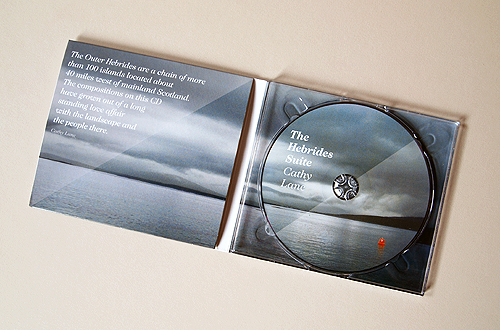 This comes across very clearly on these Hebrides recordings; she says the “compositions…have grown out of a long standing love affair with the landscape and the people there.” Although the actual source material may seem mundane if we trot it out like a shopping list – wind, weather, rain, oceans, local wildlife, church bells, ferries, and people talking about their work as crofters or fishermen – the cumulative effect is very touching and deep, presenting a truly vivid and resonant documentary through these overlapping and fading sounds. What’s best of all is that it’s totally free from “editorialising”, which is what would happen if someone from the BBC ever got their hands on the project. 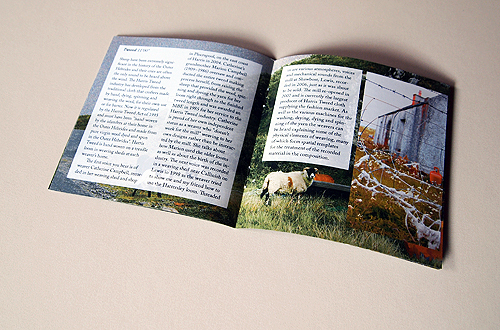 The work is complemented by a booklet of full colour photos and notes from the artist. I’m beginning to think Gruenrekorder are currently presenting some of the best statements in the “genre” of field recording today. 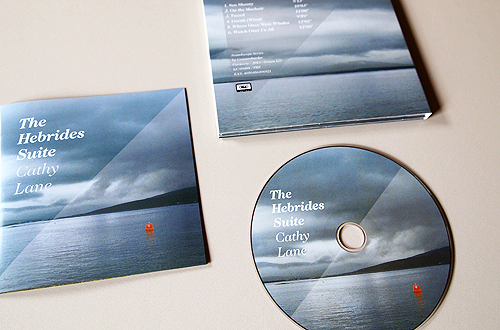 With this album, released in Gruenrekorder’s Soundscape Series, Cathy Lane declares her longstanding love affair with the Outer Hebrides. She does so without simplifying phonography into the trope of the solitary wanderer, microphone in hand, staring at the might and magnitude of nature while remaining apart. On the contrary, while there is space in all six tracks to be alone with nature, this nature is not at a distance, but inhabited and lived – raw and harsh rhythms of weather meet those of language and bodies to produce memories in the present, spun from the pulse of life, death and the struggle for survival. No more so than in “Tweed”, where the body of the listener is drawn into the rhythm of work and voices, and the textures of tweed are spun from the sound of their own manufacture. 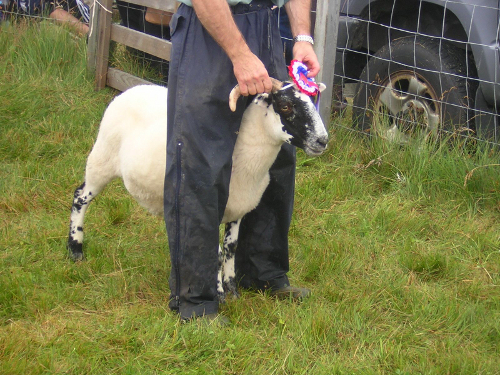 This track also featured in a recent Crafts Council exhibition that toured between Scotland and the South East of England, a context that amplified the connection between the rhythm of work and the rhythm of music largely lost in a post-industrial society and abandoned in the cerebral processes of electroacoustic composition. The best track, “Where Once Were Whales”, creates a powerful juncture between the actual location and its musical construction. 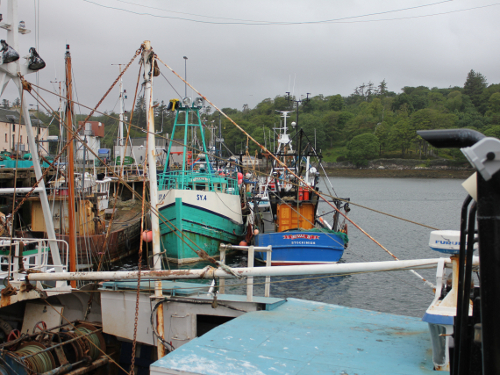 Voices from oral history archives and those recorded by Lane talk about fishing and seafood, narrating the place through lost traditions and current customs, while compositional strategies play and expand those voices as sounds into the acoustic environment. This composed piece represents not a geographical actuality but invites an individual imagination triggered by clicks, ticks and waves of water that reverberate with and through the words. Lane’s precise digital processing of environmental sounds and voices does not overpower the recordings but shapes them beyond the phonographic field into a composition that is at once a document and the site of production – it generates facts and music that invent rather than confirm their origin and discipline. The electronic manipulations respond to the recordings, garnering their tonalities and augmenting their rhythms, rather than embellishing them. 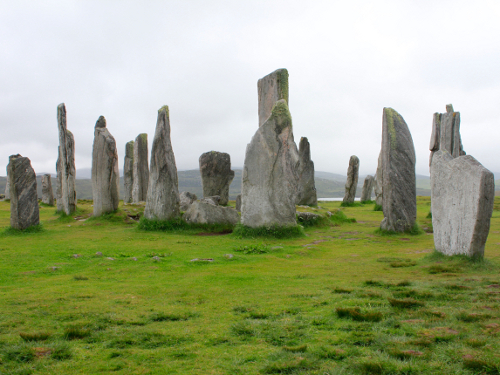 Lane first visited the Hebrides in the late 1970s. With this current album she leads the way towards a new relationship between field recording and electroacoustic composition, inadvertently critiquing the approach of sticking your microphone into the field while also unpacking an electroacoustic vocabulary. Apropos Vergangenheit: für „The Hebrides Suite“ unternahm Cathy Lane einen Ausflug auf die Äußeren Hebriden, eine Inselgruppe von mehr als 100 Inseln 40 Meilen westlich von Schottland. Aus ihren dort gewonnenen Feldaufnahmen, Interviews mit den dort lebenden Menschen und Aufnahmen aus schottischen Archiven komponiert Lane eine Mixtur, die das Verschmelzen von Vergangenheit und Gegenwart möglich macht. „Ich wollte erfahren, ob Geschichte, vergangene Leben und vergangene Geschehnisse akustische Spuren hinterlassen“, sagt Lane. Jedes ihrer Stücke dreht sich dabei um einen bestimmten Aspekt des Insellebens, sei es die Schafzucht, die Schifferei, Religion oder der Wind. So unternimmt Lane einen interessanten Versuch, sich einer Region in 360 Grad über ihre Geschichte zu nähern. 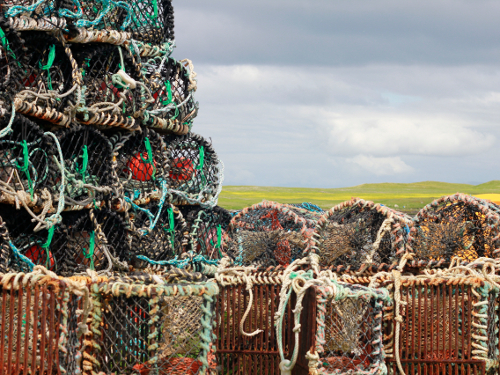 transportThanks to air travel, the journey to the Hebrides is easier now than ever, but the traditional ferry still offers the most authentic experience. 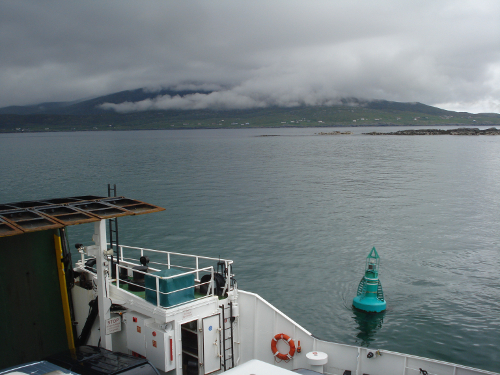 Lane writes that “the sound of the announcements, the throb of the engine and the strain of ropes, the clang and scrape of the heavy metal ramp on the port as well as the culinary joys of a macaroni cheese pie are familiar to any traveler to the islands” (abbreviated). These sounds are captured in brilliant stereo for the home listener. Unfortunately, due to packaging challenges, no macaroni pie is included with the recording. 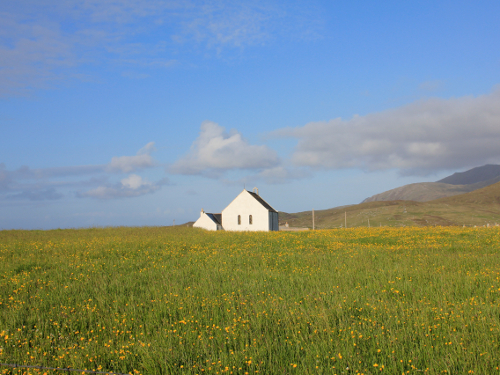 ChurchAs fascinating as the dialogue samples may be, one longs to hear more of the Hebrides itself, and Lane accommodates this need in the second half of the recording. ”Gaoth (Wind)” is particularly effective, a study in the effects of wind in various locales from beach to pen. 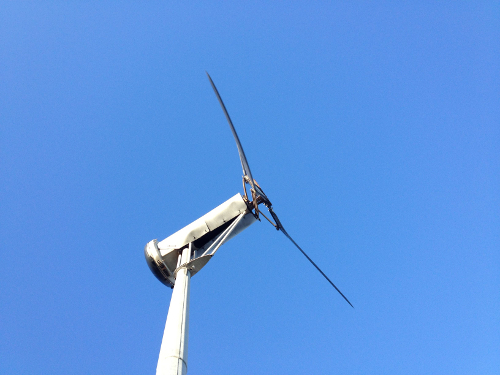 In the liner notes, one learns about the local opposition to a wind farm (36 turbines were eventually installed, instead of 181), but the sound of the wind tells a better story. 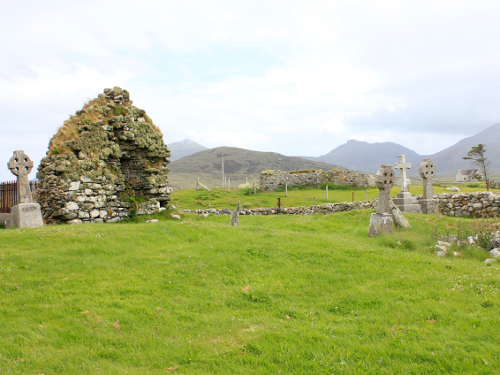 In “Watch Over Us All”, Lane captures the sound of Sunday morning worship, but as she writes, “the skylarks singing above the ruined 13th century church get the last word”. 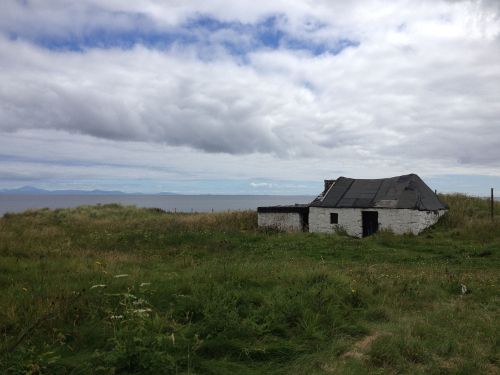 The suite ends with the Hebrides itself, reminding us that the islands existed before us and will likely outlast us as well. 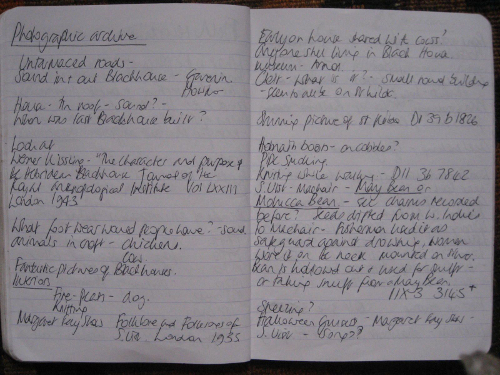 The sound artist, composer, lecturer and researcher Cathy Lane, lives and works in London. She’s Professor of Sound Arts, University of Arts London and co-directs the Sounds Creative Arts Research Practice (CRiSAP). 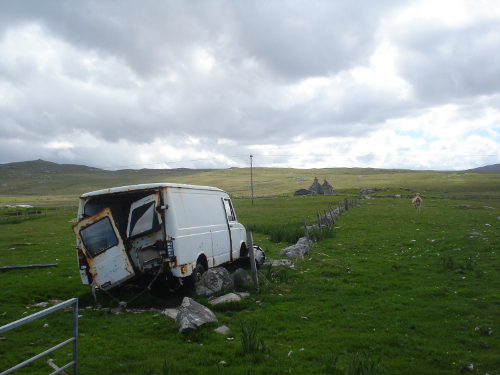 For the reviewer has been very interesting to know the life and wildlife of the Outer Hebrides – distant and mysterious land – through sound. One of my favourite sounds on the record is an old Hattersley loom that reprises throughout “Tweed” – a beautiful, hand-cranked cascade through which loose chains and metal cogs rattle and shake. Lane uses it as the basis to coax rhythm out of language; words are skipped and delayed into tiny gallops of Gaelic phoneme, mimicking an uneven machinery mechanism, overlapping with other conversational extracts that swirl and grind across eachother; the Hebrides becomes its own machine of circadian process, interlocking into a water-tight weave of rugged landscape and uneroded tradition.